VPN Shazam is a relatively new service provider in the VPN market. Founded in 2011, the service is brought to you by Shazam Tech. LLC which is an Israel based company. The company aims to deliver the best VPN solutions to its customers at very best prices. In this detailed and unbiased VPN Shazam Review, we list down the features offered by VPN Shazam and check out the pros and cons of the service. VPN Shazam has 58 VPN servers in 27 different countries. The list of server locations include important VPN markets such as United States, Canada, United Kingdom, Netherlands, Germany, Czech Republic, Belgium, France, Italy, Russia, Australia, Sweden, Austria, New Zealand, Switzerland, Ukraine, Spain, Portugal, Luxembourg, Finland, Romania, Ireland, Poland, Singapore, India, Hong Kong and Slovakia. The wide selection of servers makes it a great choice to unblock local content from these countries. The company also allows unlimited server switches between the countries available in your subscription plan. VPN Shazam provides the very browsing, streaming and downloading speeds. They have excellent infrastructure in place that supports 100MBPS speed. This makes the service a great choice for watching streaming content, online gaming as well as for downloading huge files. They also allow P2P activities through their Swedish and Slovak servers which should please torrent enthusiasts. VPN Shazam does not keep a log of user activities. Further the company uses 128 bit encryption to secure a wide variety of online applications such as ICQ, Mail, FTP etc. in addition to web browser. This makes it ideal for anonymous browsing and bypassing government firewalls. The service supports common VPN protocols such as PPTP, L2TP, OpenVPN and SSTP. This allows you to use the service from a variety of devices such as smartphones, laptops and tables running on a variety of operating systems like Microsoft Windows, Linux, Mac OS, Android and iOS. The set up for the service is easy and the company’s official site provides detailed instructions to set up and use the service. VPN Shazam provides support through live chat and ticket system. The support staff is responsive and responds quickly to most tickets and queries. VPN Shazam offers a wide variety of subscription plans for its customers. 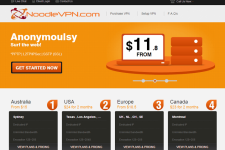 They offer country based VPN plan such as US VPN, EU VPN, Asia and Australia VPN starting at $4.99 per month. The unlimited plan starts at $15 per month and provides access and unlimited server switches between all VPN servers. The company also offer protocol specific (OpenVPN, PPTP, L2TP) VPN plans that not many providers can boast of. You can save money by subscribing to long term plans as well as by using VPN Shazam coupons. The company offers one hour trial account and 4 day money back guarantee. However the guarantee is not unconditional and refunds are offered only if you are not able to use the service for some reason. On the whole, VPN Shazam is a very good VPN service provider. Even though they are relatively new in the market, they have expanded aggressively and provide great speeds and unmatched security. If you are looking for a versatile VPN service that you can count on, make sure to check out VPN Shazam. To learn more about VPN Shazam, please visit them on the web at: vpnshazam.com.